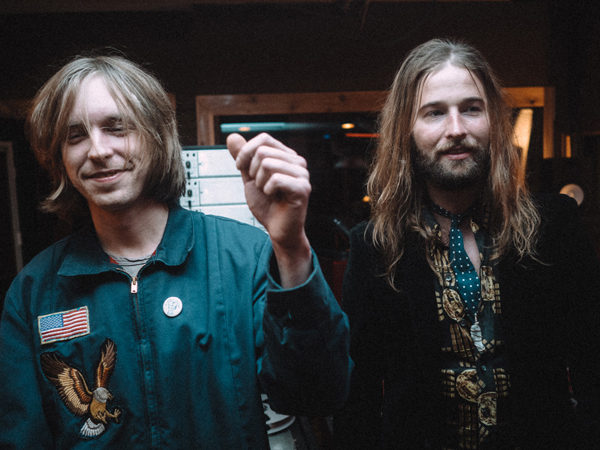 Bowling Green, KY’s Morning Teleportation – the Paste “Best of What’s Next” anointed group of Tiger Merritt (vocals/guitar/keyboards) and Travis Goodwin (keyboards/vocals) – announced its new album Salivating for Symbiosis will be released on April 28th via Glacial Pace Recordings. Recorded and produced by Jeremy Sherrer at Ice Cream Party in Portland, OR, Salivating for Symbiosis is a collaboration of close friends who have worked and toured together for years, including Joseph Jones (drums), Alex Lindsey (bass), Paul Wilkerson, Cage The Elephant’s Daniel Tichenor, Nick Bockrath, and Matthan Minster, Death Cab For Cutie’s David Depper, and Mimicking Birds’ Aaron Hanson. The first single “The Code” – a psychedelic rock track, driven by arpeggiated riffs and manic energy – premiered today alongside the album pre-order (LINK), listen here: (LINK). The band also confirmed dates supporting Modest Mouse and an album release show at Bowling Green, KY’s Live on the Lot Festival at Tidballs on April 28th. A current itinerary is below and more dates will be announced soon. 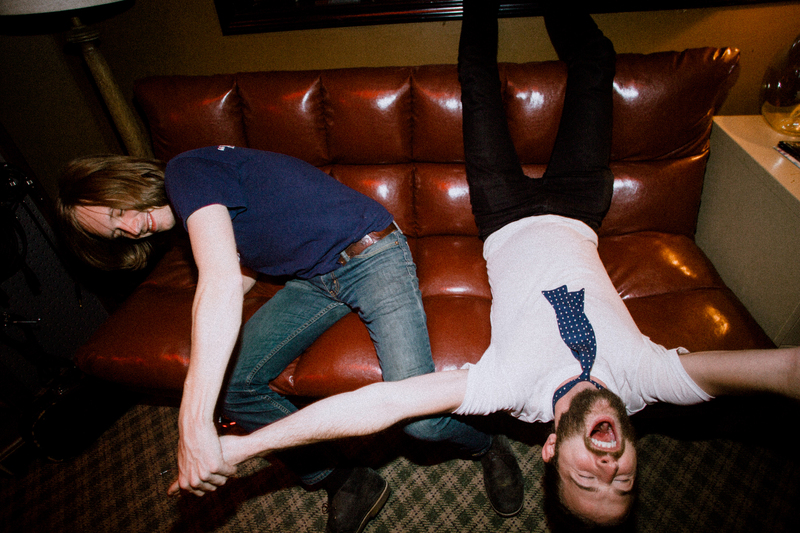 Morning Teleportation – which spent the last few years either in the studio or on the road playing for crowds at Bonnaroo and Sasquatch, and supporting the likes of The Flaming Lips, Cage The Elephant, Modest Mouse, among others – has made its best record to date. Whereas their “frenetic, youthful” (Paste) debut album produced by Isaac Brock, Expanding Anyway (Glacial Pace), took 14 days to make, Salivating for Symbiosis was recorded over a year at Ice Cream Party. Jeremy Sherrer — who has worked on the recent albums by Jesu/Sun Kil Moon, Modest Mouse, and Ages & Ages — worked with Merritt and Goodwin to perfect their sonic vision, at times re-recording and re-mixing multiple songs, until the final versions aptly reflected their imaginations. 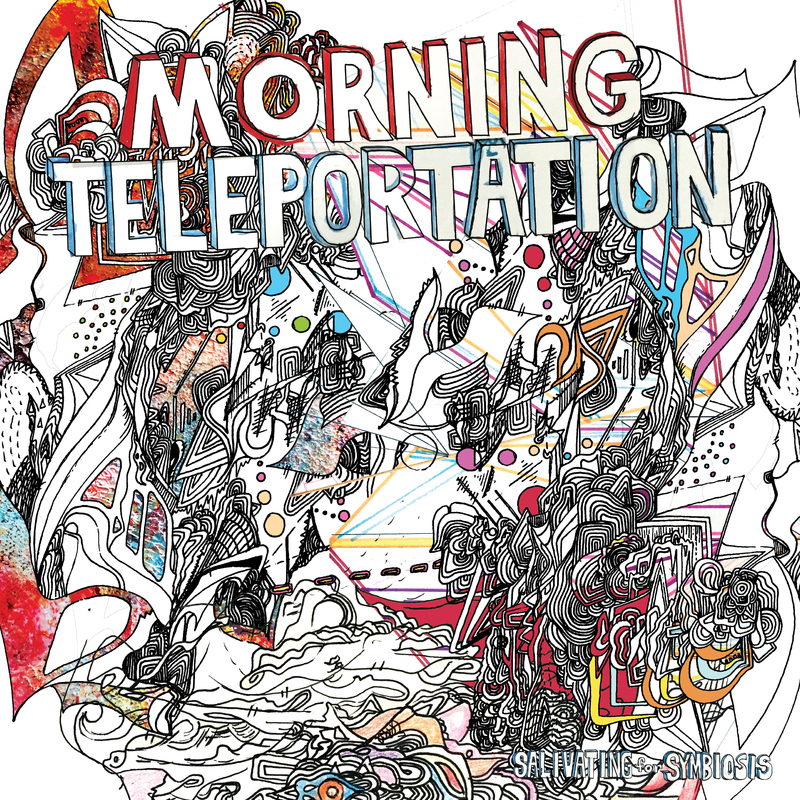 Morning Teleportation pushed itself to create an album with the widest scope possible, incorporating trumpets, banjos, modular synthesizers, and more.